This gathering at the King's Hotel in Singapore for dinner on 21 April 2013 was made up by mainly those who are now residing or working in Singapore with some coming down all the way from Kuala Lumpur. In this informal gathering or reunion of old boys, the latest updates on the school was shared with us by Megat Mizan Nicholas Denney, an old boy who now sits on the Board of Governors of the school. What was shared by Megat was of concern to us as the fate of the school seems to be affected by a decision of the Catholic Church to take back the land the school sits on from the De La Salle Christian brothers institution. A meeting would be scheduled in October to further discuss this and to contemplate the future of the school that would celebrate its 110 anniversary next year! It was also mentioned that if the school were to continue in another location, it is desirous to take the school out of the Government system as all would agree that the standards of the school etc have dropped tremendously from what the old boys were familiar with. What was generally agreed among the old boys was that it would be good to keep the 'inclusive' culture of the school that we knew, ie the rich and the poor students could attend it, not making it an exclusive school for the rich. Also what was generally agreed by those in attendance was that in order to get the best teachers for the school, it has to pay good money to attract them and therefore privatization of the school would be considered. Coincidentally the successful models of St Joseph Institution( a La Sallalian institution) and ACS Anglo Chinese School (managed by the Methodist Church) in Singapore were mentioned that happened to be the two secondary schools our boys had attended. A video I had taken in St Joseph is found here while one of ACS is found here. This post is a continuing story of Mom explained at the bottom of the last post about her found here. This music is from the soundtrack of a movie that we enjoyed as a family called 'Prince Caspian' from the Chronicles of Narnia. I am always inspired by certain music that will ring in my ear at certain times of my life for certain occasions and this is one of them for her birthday on this day. The lyrics 'You'll come back when it's over, No need to say good bye' rings in my ear. 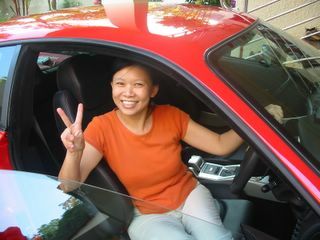 Here is a blog pic that Han posted many years ago of Mom in her dream car for her birthday. Note the comments made in the blog post then that is now more familiar in facebook today that didn't exist yet in those days. (Post-dated development on January 20, 2014 : Note that in reviewing this blog posted on April 04. 2013 that extracts a blog post from April 04,2005 to be posted below, I found that the original link in my comments at 3.20pm was no longer valid or working as the originator of the earlier link had changed the web content. I have on this date altered this blog post to provide another link. One can see the original link by clicking on the blogpost date index of 2005 April provided at the top right of this blog to look for the post title "Happy Birthday to the Singapore Girl in her dream" and click it. Dream and dream Mom, one day that car might be yours heh heh... perhaps we can get you a toy model heeheehee. Thanks, guys for the present! Whatever the size, make sure the engine is working, hahaha. Thanks for the flowers too!!! They're beautiful. Thanks Han for sending out the post this morning as I had to rush for an appointment! Guess Mom is getting her surprises bit by bit on her birthday hehehe. Hey this is even more fun than April Fool's day. By the way, that's a ferrari (spell chk) and not a porche. hehehe. Happy Birthday and many Happy Days ahead! Hah!! What a surprise, Bro. Oman. Thanks for dropping by!! This girl has so many birthdays over the years and does not look one bit older....what's her secret of youth !!! A Very Happy Birthday to You !!! Happy Birthday to a beautiful Singapore, KL girl! We send our love and best wishes from Oregon. Geok Lee, its Darrell and Anne Ieremia. Happy Birthday!!! We think of you guys often hope all is well. You look good with the red car. Take Care. It only gets better from here! You deserve the best life has to offer. Have a blessed and joyous celebration that is year round....till the next one! Happy Birthday from all of us in Arizona. We hope it's a good one. Thanks everyone for all your well wishes! My heart is full and the clock at home says 12.01am April 5. By local time my birthday is over, but the joy I felt today will definitely spill over into the years to come! Happy Birthday from Edmonds, WA. I know Sun Fu from our days at Enrich. meet our health and wealth challenges. I did not know where to find "comments in her photo post." Hope all is going well for you. Hi Geok Lee (Boh Lay in Hainanese: How have you been keeping? This is Eric and CHew Yian from Shanghai. 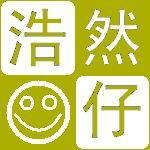 Saw Sun Fu's email and decided to drop in and visit your family's blog. You have a wonderful family from what I can read. I was the District Councilman for the China Shanghai Internaitonal District with responsibility for the Nanjing Branch. The Branch President there, Pres. Yu, said that a certain Sis Chong was there for a while. I guessed it must have been one of your girls. Not sure which one. We'll be home this summer to send our oldest girl to college. Let's find some time to get together. It's been a while, hasn't it. Soo Kee: Take care. Talk to you later. We have celebrated her birthday in many different places such as the botanic gardens listening to the Singapore Symphony Orchestra as blogged here. When we couldn't get together, we even celebrated her birthday online through the internet! This was the birthday she acquired the title of 'Unstoppable Mom' as per the post here. We had to visit her again on her birthday month. The location of her memorial plaque in Mandai is described in this post. Mom's never ending story will continue after this post to the next. Note that her continuing story started from the blog post here. Click here to continue to the next post of Mom's never ending story.